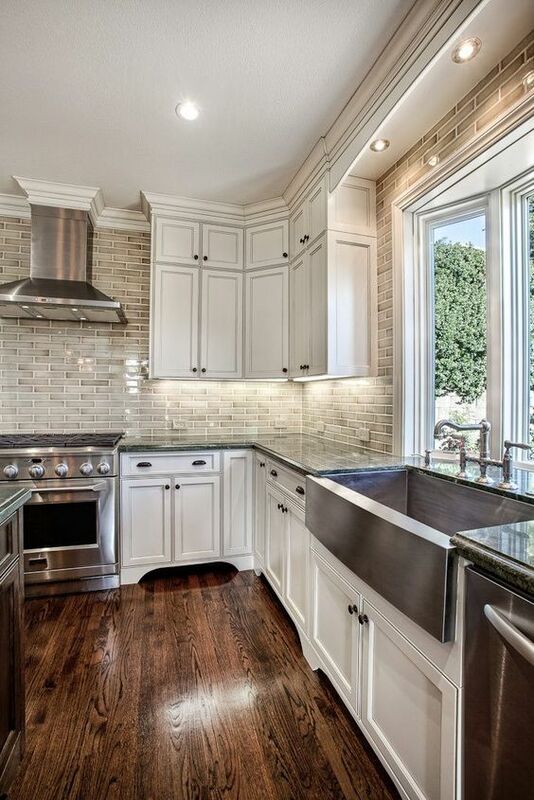 Considering a kitchen remodel? For most, the menacing cost of doing a remodel puts this project on hold. According to Home Advisor, the national average cost for renovating a kitchen is $21,916 or $10,000-$15,000 for a smaller project. This is certainly a large investment no homeowner wants to mess up. The main reasons for a kitchen renovation is it’s undersized (usually because it the house is older and rooms were smaller), or a move is pending and an upgraded kitchen would increase the resale value. Whatever the reason may be, Hewitt and Danese Contractors and Builders are ready to help. Before starting the project, consider these pointers that will help you achieve the best results without breaking the bank. To avoid a hefty project costing extra time and money, cap your renovation budget at 15% of your home’s value. For a detailed breakdown, allocate 30% of the budget for cabinets, 14% on appliances, 10% on countertops, 5% on lighting, 4% on plumbing fixtures, 2-3% on paint, 1-2% on tiles, and 35% on construction costs (i.e. windows, flooring and labor). Of course, if you don’t need to spend money on certain things like plumbing fixtures, allocate that money towards another cost. Also, don’t feel like you have to follow this breakdown precisely, but do plan on budgeting more for cabinets, countertops, and construction costs. You’re considering a kitchen remodel, so you think a good place to start is at a home center like Home Depot or Lowes. After all, the people that work there seem very helpful and experienced. Plus they work at a home center, so that implies they know what they’re talking about. If this situation sounds familiar, you are not alone. The truth is as friendly as the employees are, they do not know as much as customers assume. Most are relatively inexperienced when it comes to renovation work. Also, their workplace is like their office, therefore they want to sell their products. This means your choices are limited, and you may or may not get the results you imagined. Since the end result will only be as good as the people designing and building it, hire professionals. Hewitt and Danese Contractors and Builders have remolded kitchens for decades, servicing New Jersey and Pennsylvania. Even though a fresh start may seem like the way to go, consider salvaging some elements of your kitchen for reuse. For instance, keeping an original window can save $500-$1,000 per window. Or, pull up the linoleum/ vinyl flooring and buff that beautiful hardwood lying underneath. This tedious, but well worth-it task can save up to $2,000. Lastly, keeping something as simple as plumbing fixtures can save a couple hundred bucks, according to Time. If you’re planning on moving soon and freaking out about your outdated kitchen, take a breath; there’s a light at the end of the tunnel. Skip the $20,000 plus renovation and go for a light remodel instead. Think about repainting or resurfacing cabinets with new wood veneer and new doors and drawer fronts. Give the fixtures and light some love too and swap old ones with quality, trendy pieces. You would be surprised as to how minor changes can have a huge impact. Whatever you decide, be it knocking down a wall to add space, installing new cabinets, or resurfacing countertops, contact Hewitt and Danese Contractors and Builders. We’ll offer sound advice and show you a wide array of options and products—not tie you down to what’s available in our stock room.